On Wednesday, October 19th, UMass Lowel held a unique event to recognize and celebrate the entrepreneurial initiatives on campus. Chacellor Jacqueline Moloney gave welcoming remarks to attendees. Then, Associate Vice Chancellor for Entrepreneurship and Economic Development, Steven Tello, introduced the various entrepreneurship programs housed right here at UMass Lowell. Following the introduction, a student mentor panel answered general questions from DifferenceMaker Director Holly Butler and Program Manager Ha Pho, and answered several questions from the audience as well. Teams featured on the panel include eNABLE Lowell, 2016 Campus-wide DifferenceMaker, Topacan, 2016 First-to-Market winner, Veteran’s QRF, 2016 Significant Social Impaact winner, WordPro, 2016 Honorable Mention winner, and two alumni mentors, Mark Girolamo, Topacan’s mentor, and Andrew Sutherland, Veteran’s QRF’s mentor. Rekha Paleyanda and Nancy Saucier spoke about capitalizing on the UMass Lowell entrepreneurial ecosystem. Among the mentioned organizations were Invitrometrix, Access Vascular, Inc., and Sevo Nutraceuticals, Inc. Entrepreneurial faculty were awarded for their work and dedication to recent entrepreneurial ventures. NSF I-Corps Graduates include Associate Professor Xinwen Fu, Associate Professor Zhiyong Gu, Professor Pradeep Kurup, Professor Yan Luo, Associate Professor Xingwei Wang, and Associate Professor Hongwei Sun. Tech Venture Program Winners were Professor Pradeep Kurup and Associate Professor Joel Therrien. UMass Lowell Startup Companies that were recognized are Invitrometrix, Weave, Anterios, Radect/RayWatch, and Sevo Nutraceuticals. Congratulations to everyone recognized for their entrepreneurial initiatives! On Tuesday, October 11 in DifferenceMaker Central, attorney Paul Schor attended DifferenceMaker’s Entrepreneurship Lunch Series as a guest speaker! 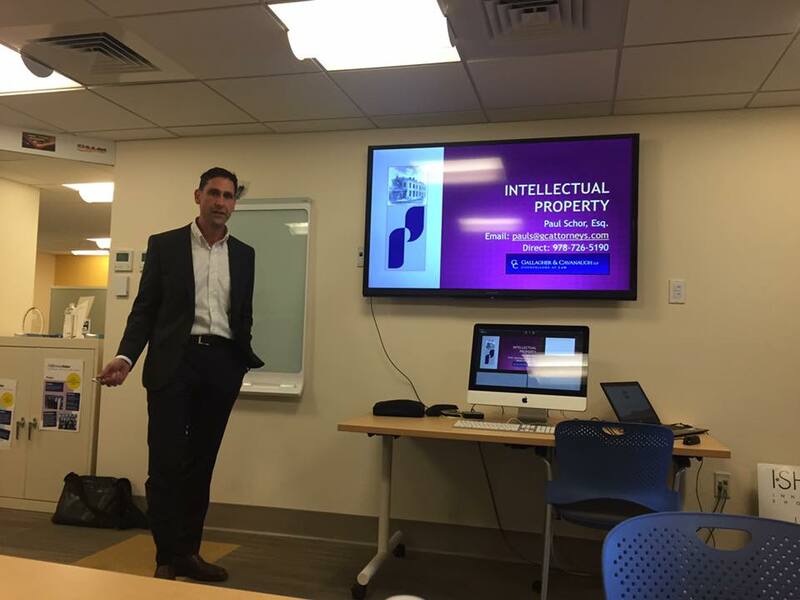 During the lunch, students had the opportunity to learn more about intellectual property, including patents, copyrights, trademarks, and more! 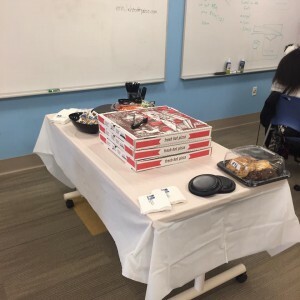 Students enjoyed salad and pizza while being challenged to think about the ways in which intellectual property affects certain circumstances in business! Our next lunch will be on Tuesday, October 18th, from 12:00-1:00p.m. in O’Leary 103 on South Campus. Take the opportunity to stop in and meet DifferenceMaker staff, Holly Butler and Ha Pho! We hope to see you there! 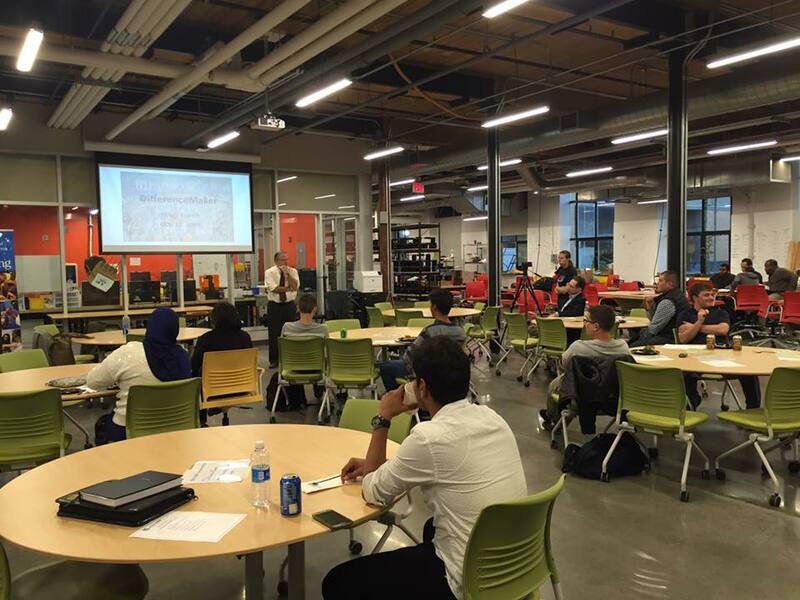 Yesterday evening in the Makerspace on North Campus, DifferenceMaker held yet another exciting event during Entrepreneurship Month! During this year’s Mixer, students and faculty heard from Professor Steven Tello as he introduced the DifferenceMaker program and kicked-off the evening. Following Professor Tello, a member of team eNABLE, Dan Whiting, gave a brief introduction of the Makerspace – a newer addition to the experiential learning here at UMass Lowell. DifferenceMaker Program Manager, Ha Pho, then led an ice-breaker to help students get to know one another and foster collaboration. 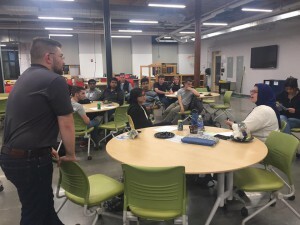 Faculty Fellow, John Morgan Bush then facilitated an open mic and speed pitching session where students with ideas could introduce them to the audience. DifferenceMaker Program Director, Holly Butler, then wrapped up the event with thank-you’s to all of the attendees for their participation and willingness to help solve real-world problems! Our next event is on Tuesday, October 18th, from 12:00-1:00p.m. in O’Leary 103 on South Campus for the Entrepreneurship Lunch Series! Join us for pizza and the opportunity to meet DifferenceMaker staff, Holly Butler and Ha Pho! Yesterday, students met in DifferenceMaker Central for some pizza during the first session of the Entrepreneurship Lunch Series! 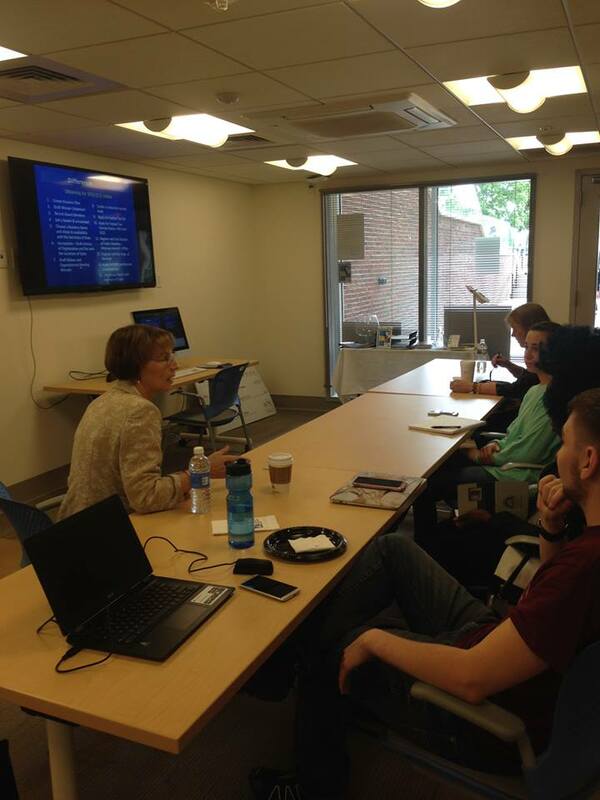 From 12-1p.m., students from many different majors took advantage of the opportunity to hear from Professors Michelle Bazin and Deb Finch about non-profit organizations and their place within the entrepreneurial world. We will be holding lunches every Tuesday in October so come join us next week on October 11 in DifferenceMaker Central – Lydon Library, Suite 012! On Monday, October 3, 2016, DifferenceMaker faculty fellow and LLC (Living-Learning Community) advisor John Brown, along with Professor Steve Tello, met with students in Bourgeois Hall for an LLC event. Students gathered in the common room of the fourth floor to enjoy pizza while learning more about the DifferenceMaker program and discuss opportunities and ideas they have. About 15 students stopped by over the course of an hour from 6:00-7:00p.m. To learn more about DifferenceMaker, visit our website! 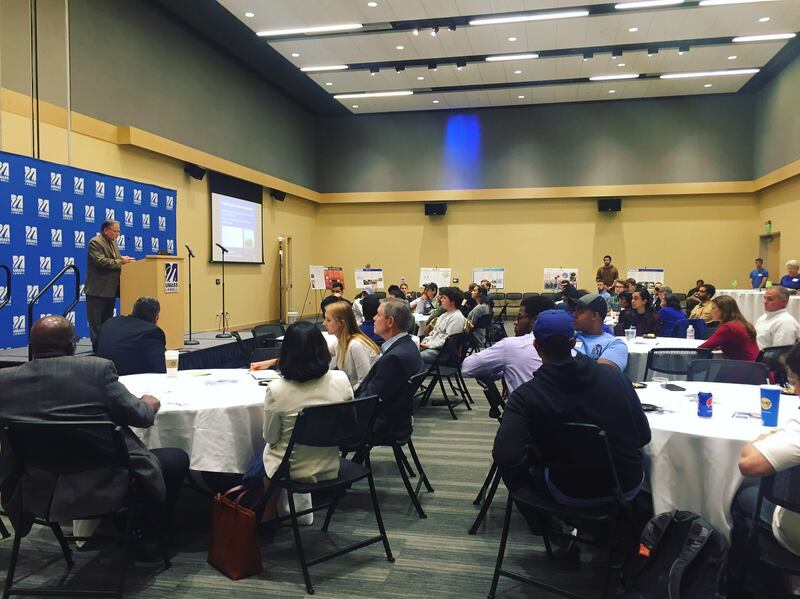 On Wednesday, September 28, 2016, DifferenceMaker held its Season Kickoff event College Competition announcement! Starting at 5:30 in Moloney Hall at University Crossing, students had the opportunity to hear more about the DifferenceMaker program from Professor Steve Tello. Students also heard from professionals about each of the three college competitions coming up this semester. 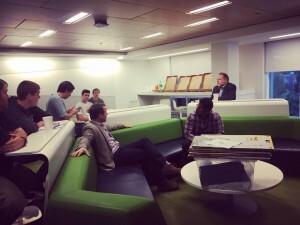 Chris McKenna introduced the Francis College of Engineering Prototyping Competition, Jim Regan spoke about the DCU/MSB Innovation Contest, and Glenn Morgan discussed the FAHSS Creative Venture Competition. Holly Butler, Director of the DifferenceMaker program, then introduced an ideation activity to engage students in entrepreneurial thinking. At the end of the ideation session, students had the opportunity to network with members of the professional community like mentors, advisors, faculty, and alumni. The applications for the 2016 College Competitions close on October 31.